. The group's repertoire is inspired by groups like Glenn Miller’s Modernaires, the Nat King Cole Trio, the Andrews Sisters, and Tommy Dorsey’s Pied Pipers, as well as singers like Bing Crosby, Frank Sinatra, Ella Fitzgerald, and Jo Stafford. DYAD is the duo of David Thorne Scott and Mark Shilansky. They blow up audience expectations of a singer plus an accompanist by singing in harmony and playing percussion, bass, mandolin and trumpet. They view varied musical styles — including classical, folk, theater, the Beatles, and (why not?) 80’s pop music — through a jazz lens. This chamber duo is perfectly suited for smaller concert venues, but has also been featured in larger halls. Inspired by Chick Corea and Bobby McFerrin's Play but with a more eclectic angle. As a member of the vocal quartet Syncopation, called a 21st-century Manhattan Transfer or Lambert, Hendricks and Ross‚ by the Boston Globe, he sang and played trumpet. The legendary vocal group the Four Freshmen has only had four different lead singers since its inception in 1947 and David is the only substitute ever to tour with them, singing the high lead part and playing bass. Vocalogy is David's vocal group based in California. His composition “I See You” was featured in the television show The Blacklist on NBC. David is Professor at Berklee College of Music, where he teaches voice, improvisation, ensembles, and vocal arranging. I have adjudicated jazz choirs in many different situations. The Massachusetts Association of Jazz Educators festival in Worcester has been a perennial. Others include festivals at Cuesta College (CA), Clark Terry-University of New Hampshire Jazz Festival, Mansfield University (PA), Mira Costa College (CA). I was the conductor and featured performer at Pennsylvania, New Hampshire, Wyoming and Maine All-State Jazz Choirs. I sing and give clinics at educational music festivals such as the Jazz Education Network and American Choral Directors Association conventions and vocal jazz festivals such as Northern Arizona University Jazz Festival, the Cuesta College Jazz Festival, and the Oceanside Jazz Festival at Mira Costa College. All About Jazz musician pages are maintained by musicians, publicists and trusted members like you. Interested? 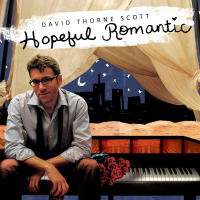 Tell us why you would like to improve the David Thorne Scott musician page.